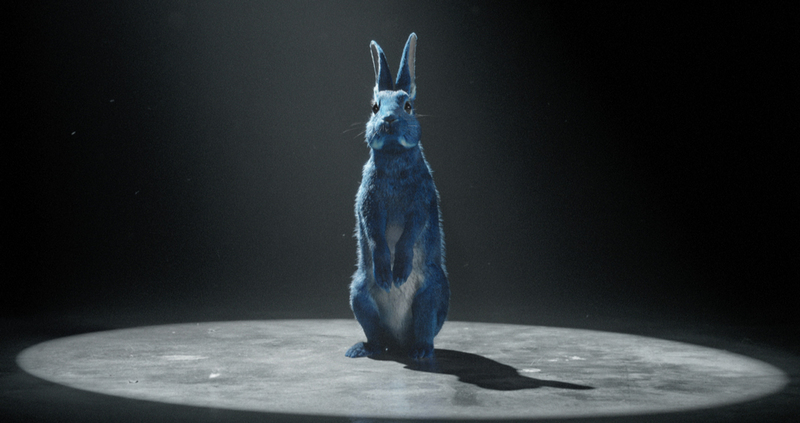 Working closely with VCCP, Directors dom&nic and Outsider, The Mill crafted a fully CG photo-real wild rabbit to star as the lead character in this latest spot for O2. 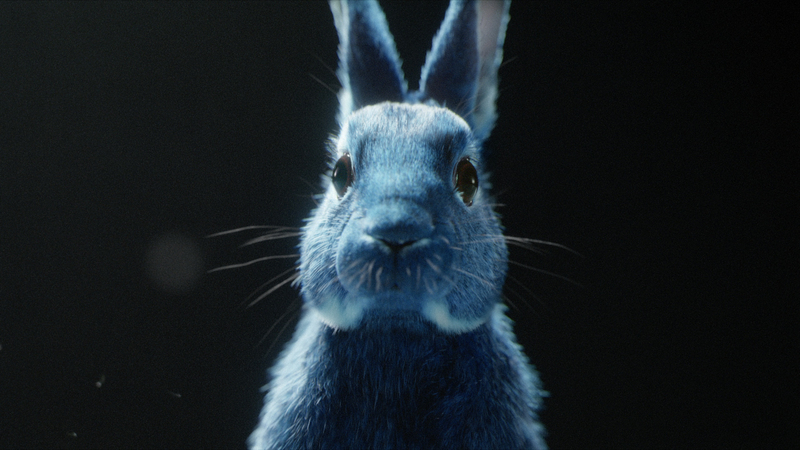 A team of over 20 Mill artists turned this highly complex project around in just over eight weeks to create a highly intriguing blue CG rabbit to help promote O2’s customer rewards program. Playing with the viewer’s sense of adventure and curiosity the somewhat mystical character, coated with an iconic blue fur, dares you to follow him as he leaps and bounds his way into a busy crowd of people enjoying a gig. The Mill’s 2D and 3D teams worked to create a creature which looked highly realistic but with enough personality and an air of mischief, to really draw the viewer in and engage with his journey. Much of the rabbit’s distinctive appearance was obtained through the colour and texture of its fur. 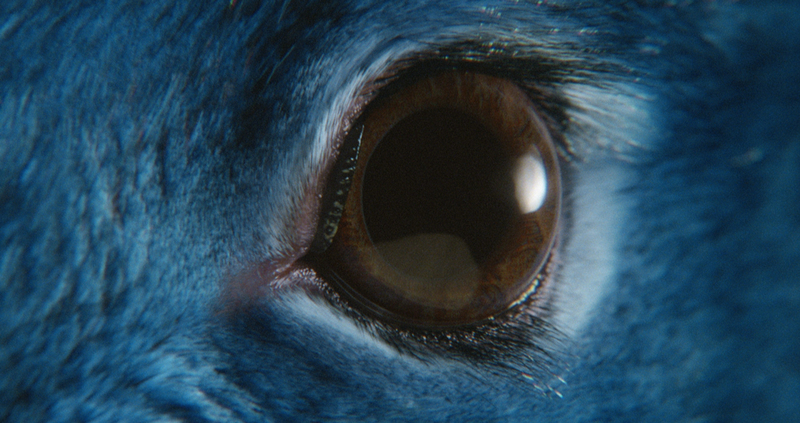 Mill Joint 3D Lead Artist Alex Hammond explains, ‘Directors dom&nic wanted the blue colouring to feel as though it was in the DNA of the rabbit. We had to make sure that it was convincing enough when we altered it from brown to blue. Mill Joint 3D Lead Yoann Gouraud continues, ‘We carried out extensive research into rabbit hair which we discovered consists of three levels of fur: down fur, awn fur and guard hairs, all of which we replicated in the fur groom to give the correct density in the fur. Along each strand of hair we were able to manipulate the colour so 'the root to tip' variation had some interesting blue tones, instead of one flat colour, all of which added to the unique aesthetic. On crafting the rabbit’s movements and character, Yoann explains ‘The animation was a real challenge as we wanted the rabbit to engage with the audience but also maintain completely natural and realistic movements. 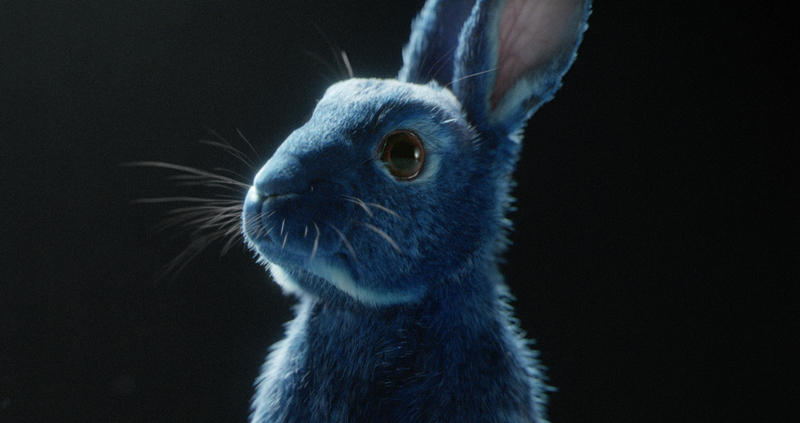 We love a challenge at The Mill and creating a photo-real blue rabbit that could stand up to extreme close-ups whilst staring you right in the eye was an exciting prospect. 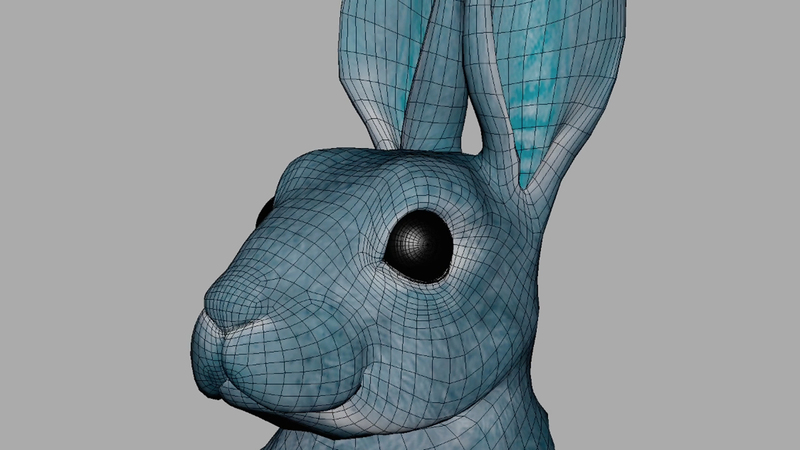 Knowing this was a tight turnaround project we drew heavily on our creature expertise, putting together a seasoned team, and used our in-house pipeline and fur software “Furtilizer” to make the rabbit utterly photo-real and believable. Animation was key in portraying a sense of urgency and nervous energy of the rabbit so our animators worked hard to craft the subtleties of the breathing and twitching that draws you into the narrative whilst maintaining eye contact at all times.